this inspirational collage can be summed up with 3 c's ... classic, casual, cool. and with a change in season, each of these will be sure to transition into autumn days. the harvest board is not only a great choice for casual gatherings, but it provides something for everyone and is perfect for fall with the addition of pomegranate and figs. 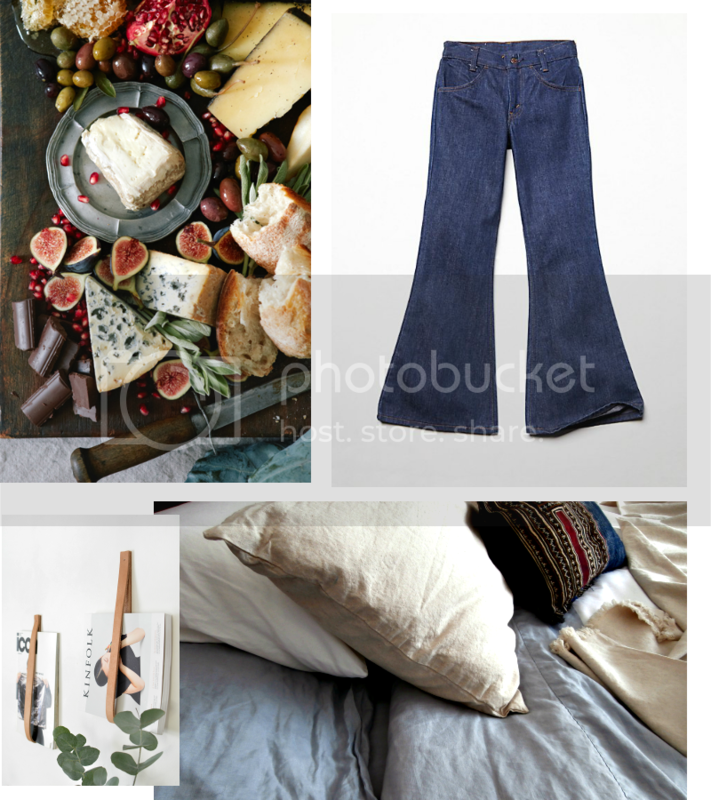 the flare jeans work for casual hangs too and when the night is complete, cuddle up in your comfy bed accented with a fringed linen throw while catching up on your favorite magazines conveniently displayed at your reach. i would love to see your creations and what's inspiring you. share them using #acreativeloaf on instagram or twitter.